Kiten Airport transfer. 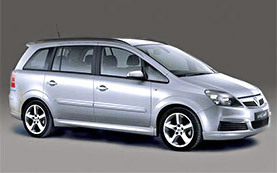 Cheap taxi hire from Kiten airport to your hotel or holiday villa. Door to door private transfers from Kiten at the price of shuttle service. 24/7 meet and great service, passenger insurance, professional driver's, no charge for flight delays, low Kiten transfer rates. Get your discount coupon for taxi hire in Kiten. Kiten transfer rates are TOTAL per vehicle, NOT per person ! Our courteous driver will meet you in Kiten or at the pick-up point with a name board. We monitor flight/bus/train delays in Kiten to insure prompt meet and great service. Our Kiten transfer rates are inclusive of driver hire, rental vehicle and fuel. We operate 24 hours a day and 7 days a week in Kiten with no exception. We operate private door to door transfers only ! Clean, air-conditioned, medium-sized sedan car. Suitable for maximum of 3 passengers with maximum of 2 medium-large and 2 small suitcases/bags. You will be met by your personal driver on pick-up who will carry a board with your name on. Family type, air-conditioned minivan. For a family or a small group carrying extra luggage. Suitable for 4 passengers with maximum of 4 medium-large and 2 small suitcases/bags. You will be met by your personal driver on pick-up who will carry a board with your name on. 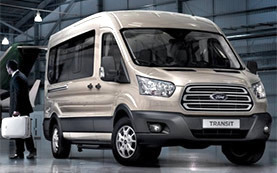 Spacious Minibus suitable for business travellers or large families who want to travel together. Maximum 8 passengers allowed. One medium to large suitcase and one handbag is allowed per passenger. You will be met by your personal driver on pick-up who will carry a board with your name on. 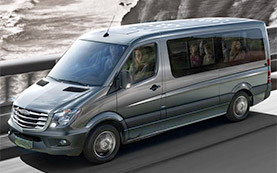 Air-conditioned minibus with a long base to accommodate up to 12 passengers on board and their luggage. Avoid the tiresome waiting in long taxi queues. 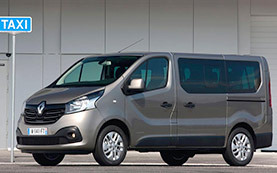 Book this comfortable vehicle and get a speedy and hassle free transfer. Luggage trailer available upon request. You will be met by your personal driver on pick-up who will carry a board with your name on. 17-passenger dual-zone air-conditioned mini-bus. One large suitcase and one hand luggage are allowed per passenger. Additional luggage trailer is available upon request . This transportation vehicle is suitable for organized business and holiday groups, weddings or other entertainment events. 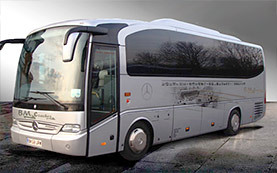 Up to 30-seat bus equipped with individual air-conditioning system and adjustable seats. Suitable for medium sized organized groups of travellers. Maximum number of people allowed on board is 30+1 guide. You will be met by your personal driver on pick-up who will carry a board with your name on. 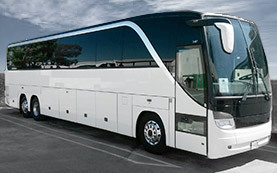 High standard 50-seat coach suitable for large organized groups. 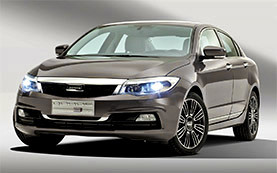 Book this vehicle to travel in comfort and style and to get ahead of the crowds. You will be met by your personal driver on pick-up who will carry a board with your name on.